Throughout September, hunger relief advocates from our 34-county service area and across the country are working together to shine a light on the 1 in 6 people who face hunger in America – including nearly 650,000 here in our service area. We could not distribute record amounts of food every year without the community’s support and we’re very thankful for your generosity. 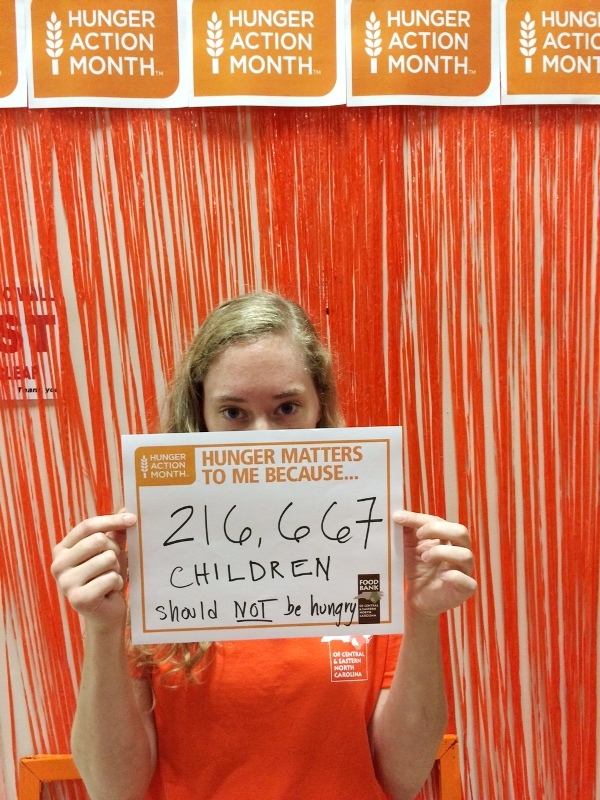 But the need continues to be great in our area, and that’s why Hunger Action Month is so important. Food Bank staff will be working hard, as they do year round, to provide more healthy food to families in need. You can help us raise awareness of food insecurity in our region by spreading the word and getting involved. Every action, whether a donation of funds, food, or time, adds up to feeding hundreds of thousands of people in our 34-county service area. Every dollar counts. Every action makes a difference. And every person we help matters.